The ‘Tolkien Tribe’, a group of dedicated bookstagrammers on Instagram, is celebrating Hobbit Week in style – from Sept 17 to Sept 23 we will be hosting giveaways, doing a Lord of the Rings film trilogy watch along, post pictures from all over Middle-earth and promote interest in the life and works of J.R.R. Tolkien and the many people the Professor inspired. 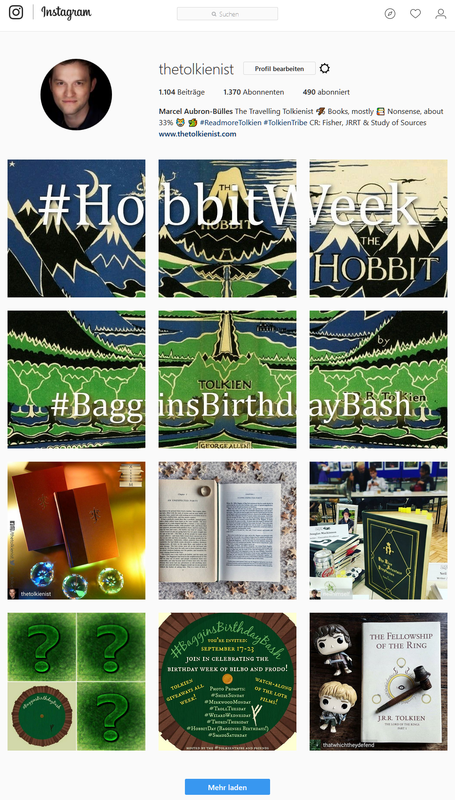 Everyone is welcome to join in the fun on Instagram with the hashtags #HobbitWeek, #BagginsBirthdayBash and #TolkienTribe.